Hoffman Helping Hands - What Do We Sell? The Helping Hands Fundraising Program offers two valuable Hoffman Car Wash Tickets in each of the markets we serve. 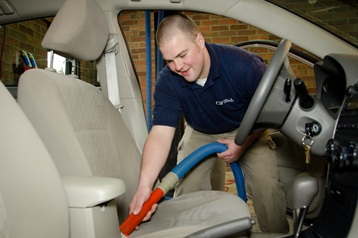 In this car wash available at our Capital District locations, your vehicle first receives our Exterior Car Wash. Our car care attendants then vacuum the carpets, seats and ashtrays and wipe the interior windows, dashboard and doorjambs. Finally, they add an air freshener of your choice and the exterior of your vehicle is hand dried. At our Capital District locations, your vehicle enters your vehicle enters our modern car wash bay where it receives a soft-cloth wash followed by touch-free air drying. In this car wash available in our Binghamton area locations, your vehicle enters our modern car wash bay where it first receives a soft-cloth wash. The bottom of your vehicle is then blasted with a high-pressure spray of water removing salt and dirt coating the undercarriage. 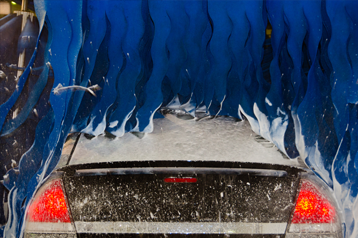 The wheels are cleaned with a hot foaming soap and then your entire vehicle receives a high-pressure rinse. Your vehicle is then coated with Hot Carnauba Wax and Simoniz® Teflon Protectant. A Spot Free Final Rinse and Touch-Free Drying removes any final residue. 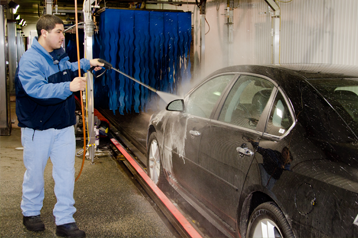 In our Binghamton area locations, your vehicle enters our modern car wash bay where it receives a soft-cloth wash, an under wash, a spot-free final rinse, followed by touch-free drying.